OJSC plant "VIZAS" offers services of production of castings of aluminium and alloys on its basis the methods of casting in the mold and into the ground. 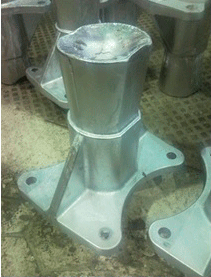 Minimum weight of casting 0.02 kg maximum 100 kg, after manufacturing the products the company produces machined castings. OJSC "VIZAS" delivers castings of aluminum alloys for the needs of Belarusian and Russian enterprises of machine-tool, automotive, engineering, rail, optical, electrical industries. Casting metal in the mold is a better way. 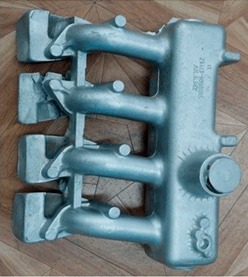 The mold is made of a collapsible form (usually metal), which is the casting. After curing and cooling, the mold is opened and article is extracted. Then the mold can be reused for casting such parts. 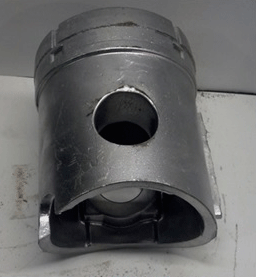 Unlike other methods of casting in metal moulds (die casting, centrifugal casting etc. ), with die casting, the filling forms a liquid alloy and its solidification occur without any external influence on the liquid metal, but only under the action of gravity.